INTENSA ACTIVIDAD DE NUESTROS CLIENTES CORPORATIVOS. REFORMA AUDIOVISUAL EN EL CENTRO DE INFORMACIÓN C.N. COFRENTES. LA ESCUELA INFANTIL DE COFRENTES A LA ULTIMA EN TECNOLOGÍA INTERACTIVA. 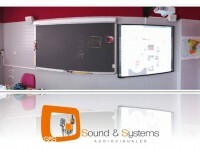 LA INNOVACIÓN EN AUDIOVISUALES CON SOUND & SYSTEMS AUDIOVISUALES. 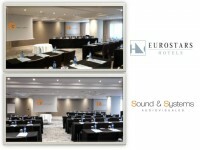 HOTEL REY DON JAIME VALENCIA RESPALDA SU ACTIVIDAD CON LOS MEJORES MEDIOS AUDIOVISUALES. 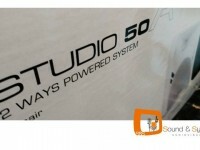 SOUND AND SYSTEMS AMPLIA SU CATALOGO DE SERVICIOS CON LA IMPLEMENTACIÓN DE SISTEMAS BEACON.